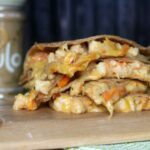 Kare-Kare Shrimp Quesadillas - Frugal Mom Eh! Kare Kare is a popular stew in the Philippines featuring a creamy peanut sauce that is thickened with toasted, ground rice. It is usually made with oxtail, pork hocks or stewing beef. Pulo Cuisine’s Kare Kare Toasted Peanut Cooking Sauce has a rich, nutty aroma with a slight hint of palm vinegar, is vegan and also Gluten-Free. This really isn’t your typical peanut sauce, the rich peanut flavour is cut nicely with the acid of the vinegar. 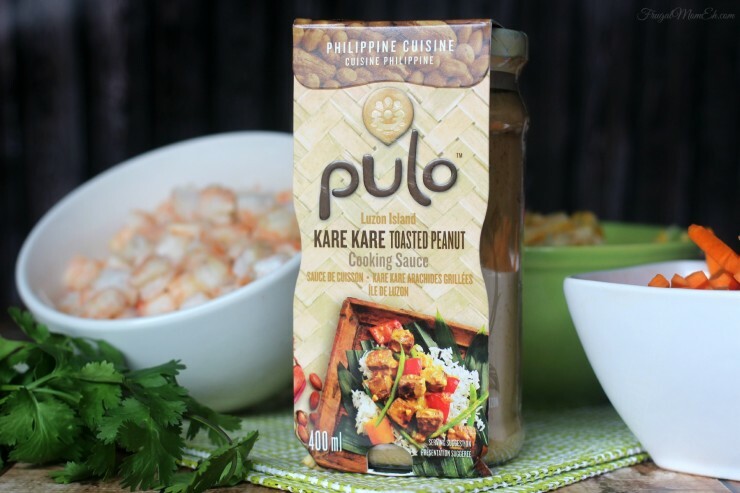 Pulo says that Philippine cuisine is the original fusion so I thought I would take that idea and go somewhere a little unusual with the Kare Kare Toasted Peanut Cooking Sauce. Honestly my first thought was to do a delicious noodle bowl with shrimp and vegetables and the Peanut Cooking Sauce but it seemed a little bit obvious and eventually I came up with this delicious recipe for Kare-Kare Shrimp Quesadillas. Heat the oil in a skilled over medium-high heat. Add the onion and carrot then saute until tender, about 5 minutes. Mix the onion, carrot and shrimp with the cilantro in a bowl. Clean the skillet then heat more oil over medium heat. Layer cheese on a tortilla and top with shrimp, then more cheese, and place another tortilla on top. Place it in the skillet and allow to brown slightly then flip** to the other side to brown slightly. Cut the Quesadilla into quarters and drizzle a little extra sauce over the quesadillas or serve with Pulo Kare-Kare Peanut Cooking Sauce for dipping and serve immediately. **Tip: Place a plate onto the quesadilla in the pan and carefully turn upside to flip it from the pan to the plate, then slide it back into the pan. 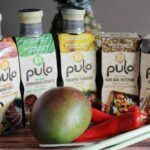 Looking for more great ideas for cooking with Pulo Cuisine? 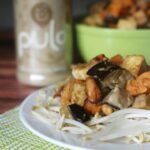 Disclosure: This post has been sponsored by Pulo Cuisine. All thoughts and opinions are honest and my own. That sound SO good. I definitely have to try this. Wow, that’s different form my usual. I think it’s worth a try, I might fall in love! Oh those look so messy and so good! I’ve never heard of kare kare but now I want to try it! Oh my gosh these look amazing. I will have to make this over the weekend for my family. Wow, these sound amazing. I have never heard of Kare Kare but want to look into them. I have never heard of Kare Kare before. This looks pretty darn delicious. I can’t eat seafood but my kids would love this. Saving this for later! I’m not a shellfish eater, but I can totally see this with chicken or beef as a substitute. Yum! Yep. I’m making this for sure. It sounds delicious, and living in Rhode Island, we have the freshest seafood available. I am not a seafood person but my bestfriend is and would love this. I love quesadilla’s and typically make mine with shredded chicken breasts. I’ve never tried them with shrimp. Thanks for the recipe! can we say mouthwatering? Oh my goodness that looks out of this world amazing! I want to reach in and take a bite right through my screen! Oh my does that look good. They way the cheese melts is my favorite. Never heard of Kare Kare before. This sure does look yummy though! Oh my goodness. These sound and look amazing. I can’t wait to try them. You know, I’m not much of a seafood fan, but this looks too tasty not to try! 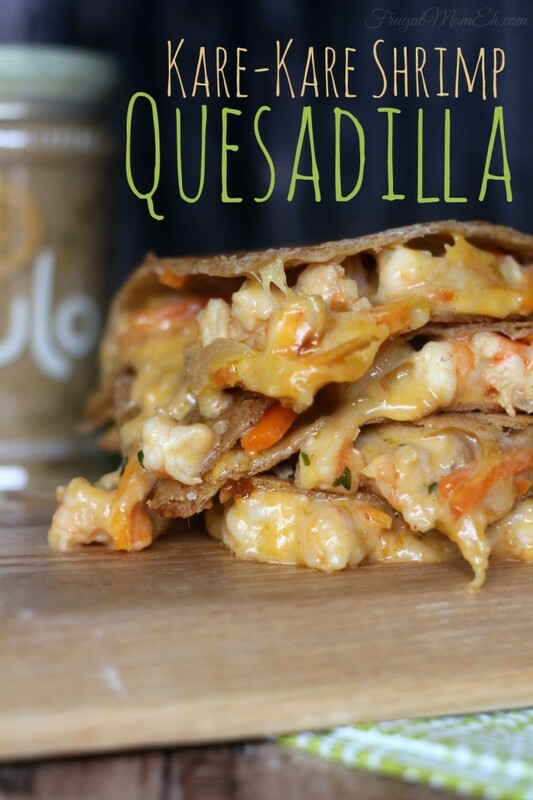 I’ve never thought of putting shrimp in a quesadilla – looks very appetizing! Kare Kare shrimp sounds amazing. Combining that with my love for quesadillas and I’m sure is a winner that I’m going to want all the time. I could definitely go for some shrimp! This looks like a great dinner idea for this week. yum yum yum yum and yum love shrimp quesadillas and fajitas so good. i LOVE shrimp this looks like an amazing recipe. I wonder if my family would enjoy this. Oh, hallelujah! My mouth is watering at the mere sight of this recipe. I’ll be preparing this for sure. Oh my goodness! This looks so tasty! This is such a brilliant idea, my daughter and I love shrimp so much so! I must try to make this! Thank you for a recipe idea that includes shrimp! Oh yum, that looks delicious. This is the first time I’ve heard of this type of sauce. I bet it would be great as a simple stir fry kind of thing, too. I am not a seafood fan but I will definitely share this with family/friends that are! 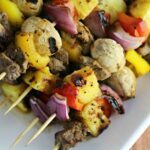 This looks lovely — I’ll have to try making it this summer! I might add some hot sauce since I like things spicy. I’ve never heard of kare kare before — how intriguing! 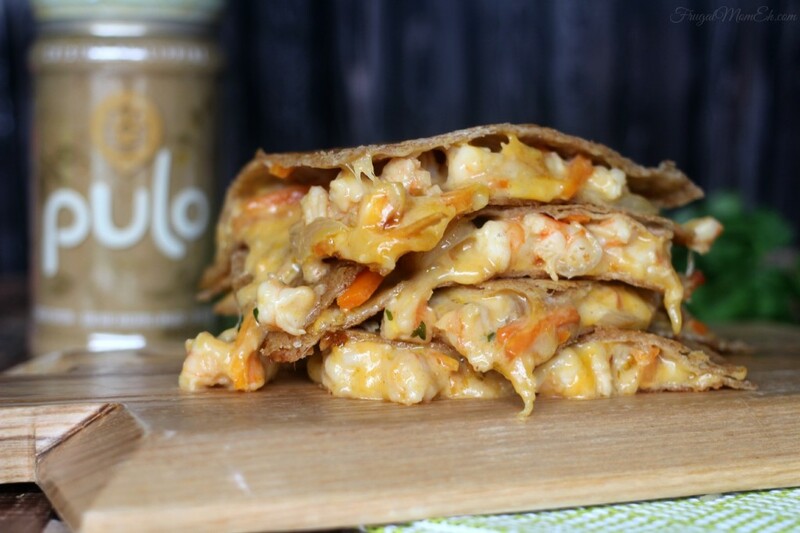 This looks so delicious and is totally different from any quesadilla I’ve ever made. Time to try something new! I’ve never heard of that sauce, but I love shrimp with basically anything.